Light, fruity and fresh, while still somehow managing to taste decadent, thick and creamy at the same time. 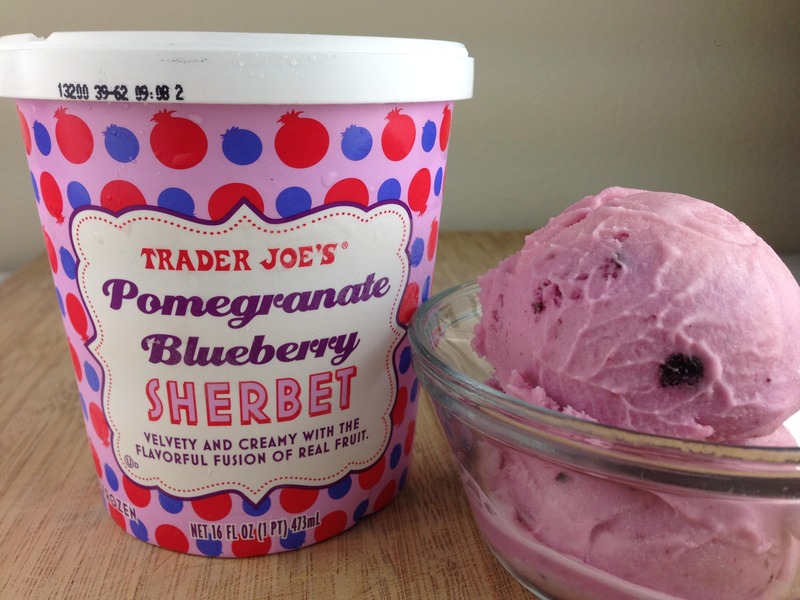 Perfect for an after dinner dessert, Trader Joe’s has hit a home run with their incredible Trader Joe’s Pomegranate Blueberry Sherbet. If there is no Trader Joe’s nearby, my heart seriously breaks for you. No one deserves to miss out on this unbelievably good sherbet. Find a friend who lives near one and have them ship it to you. It is THAT good.